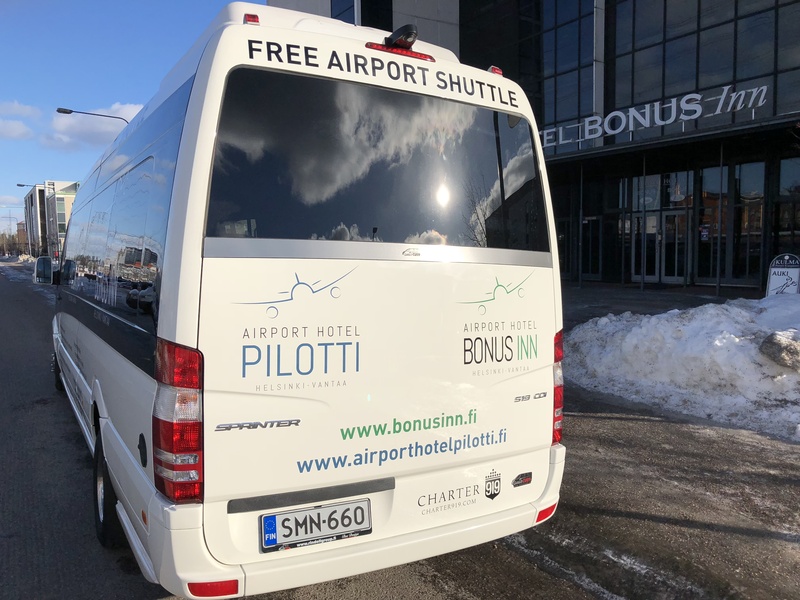 Airport transfer using the Helsinki-Vantaa Airport Shuttle is easy and reliable with our own minibus, which will pick you and your luggage up at the airport or bring you to the airport at a regular schedule every day. 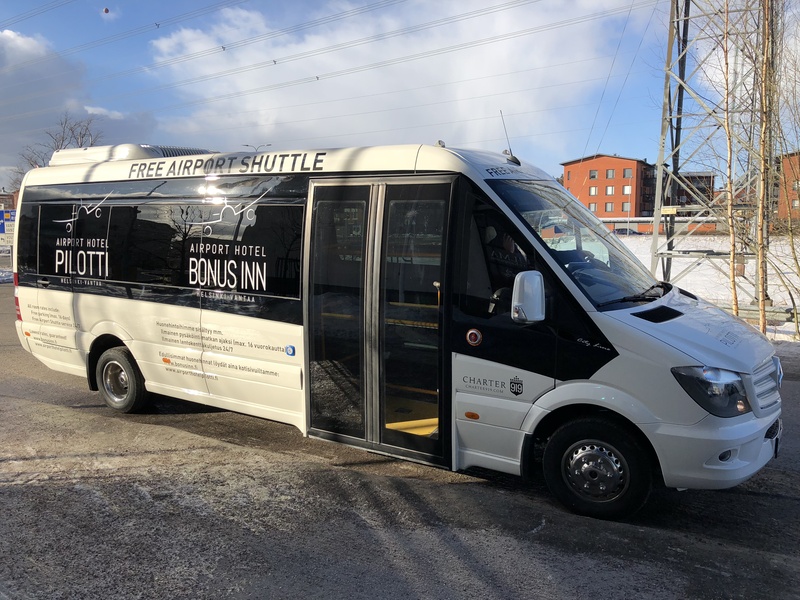 This service is free whenever you stay with us. All our room prices include transfer between the hotel and airport. Transfer from the airport and back runs every 30 minutes, as you can see in the shuttle schedule. Thanks to our free airport shuttle service you won’t have to worry about arranging transport or use a taxi. 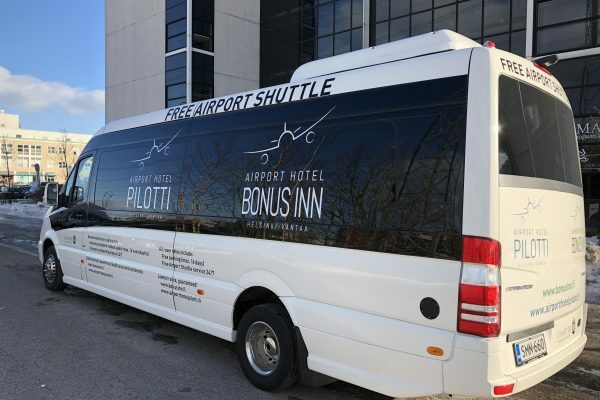 If you arrive before the first scheduled departure, or after the last one, please call us (Tel. 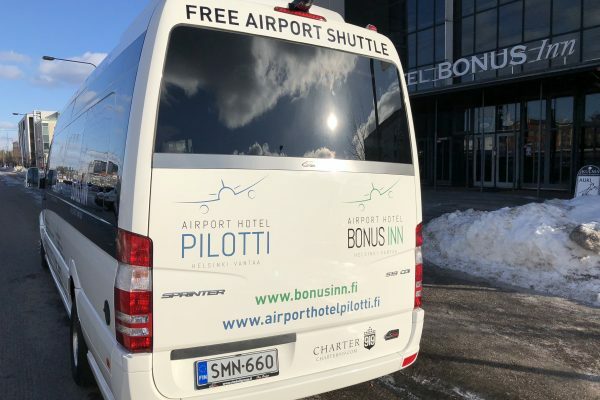 +358 9 3294 800) from the airport once you have received your luggage and we will come and pick you up. Airport transport starts in the morning at 03:00 and our bus runs every 30 minutes. 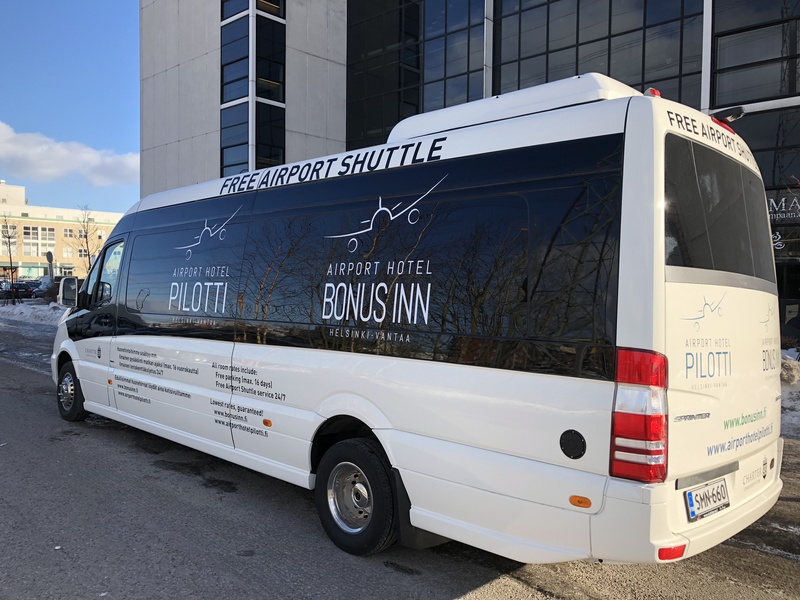 Book your airport transfer from the hotel to the airport the night before at the hotel reception. Please check which terminal your airline is using, Terminal 1 (e.g. SAS and Lufthansa), or Terminal 2 (e.g. Finnair). We operate every 30 min. in the morning, starting at 03:00, from the hotel to the airport. Kindly book your transfer back to the airport the night before your check-out.